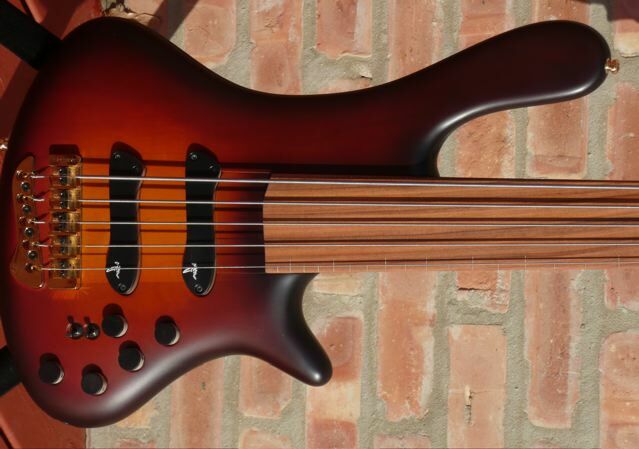 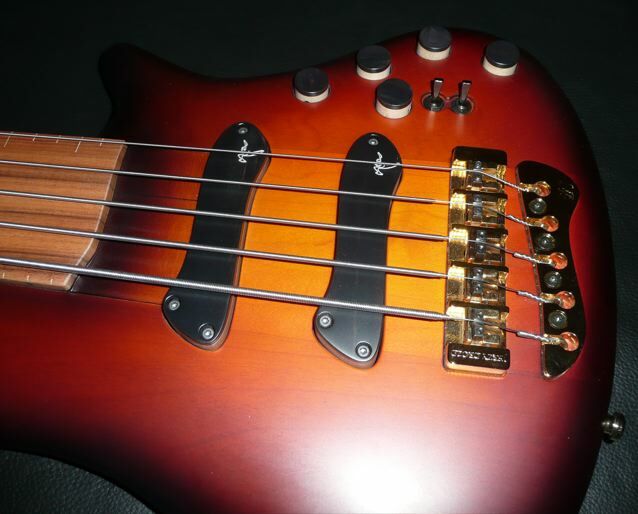 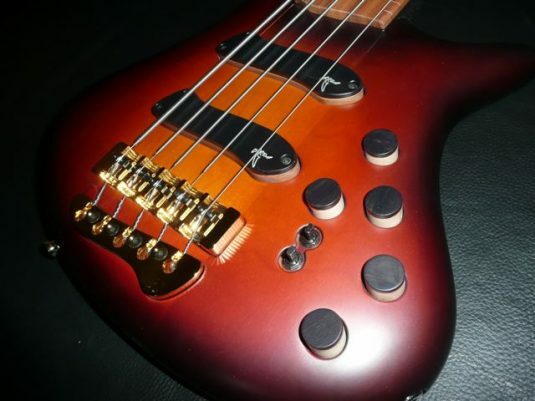 Hot off the bench, here we have a very nice fretless from Jerzy. 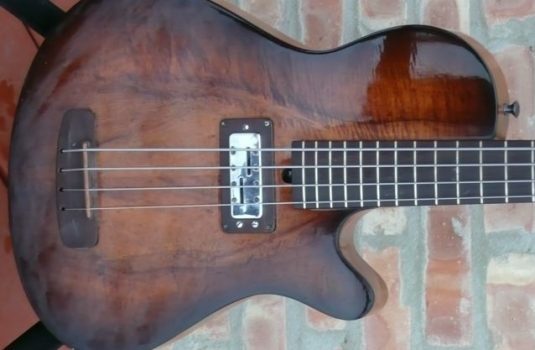 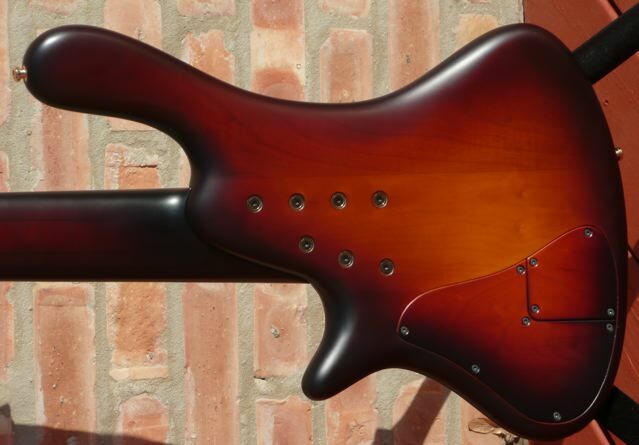 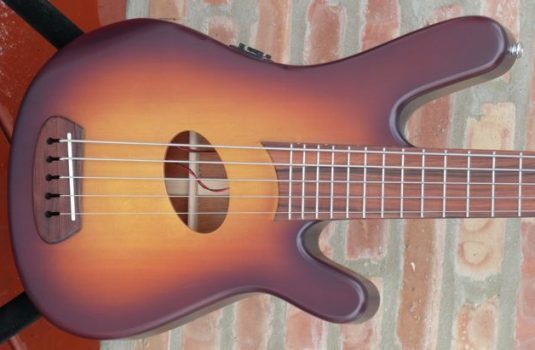 The Basic model features a solid body, no exotic top. 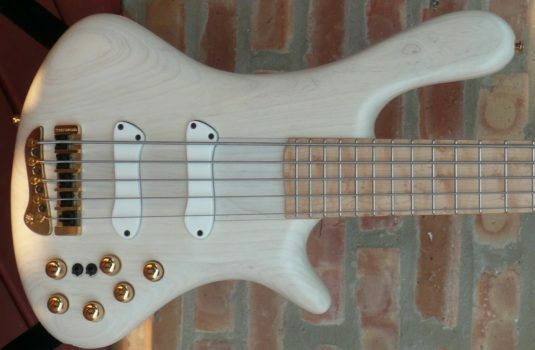 In this case, the body is Swamp Ash, with a center tone block of Maple. I asked Jerzy for a “violin” tint – he nailed it. 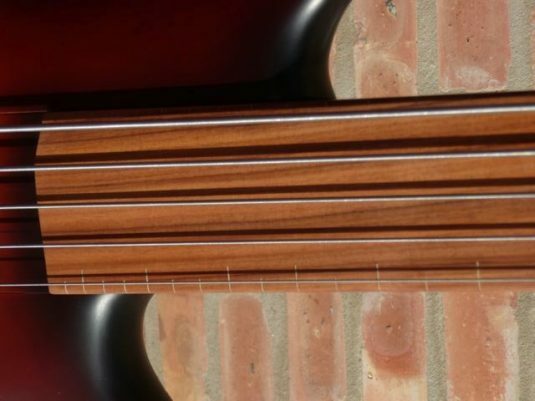 The 35″ scale neck is Maple and Wenge runners , with a Pau Ferro fretboard. Notice the mini fretlines – an effective aid to intonation without disturbing the flow of the woodgrain in the fretboard. 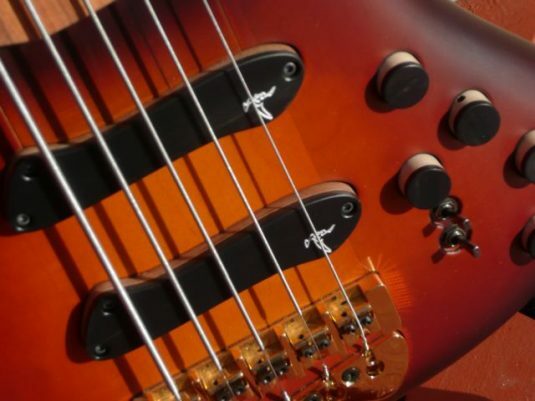 The pickups are Jerzy’s proprietary split single coils, and the preamp is Aguilar’s OBP-3, with mid frequency select and active / passive switches. 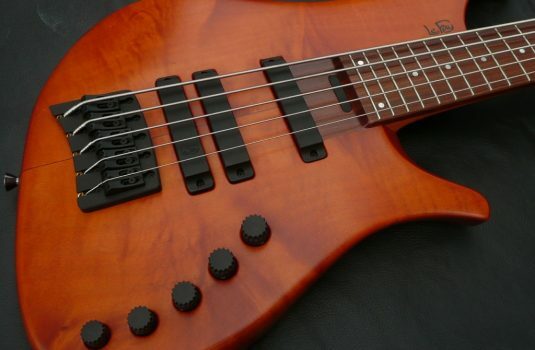 With the ultra-lightweight hardshell case.